Sabzevar University of Medical Sciences, Sabzevar, Iran. Introduction: Recent scientific advances have led to the availability of silver nanoparticles which can kill microbial agents with their higher power of penetration into them. The present study aimed to compare the effect of nanosilver spray and silver sulfadiazine cream on the healing of second-degree burn wounds. Materials and methods: A clinical trial was conducted in Vasei Hospital of Sabzevar in 2016. For this purpose, 21 patients with a second-degree burn wound of the same depth and size in one or two organs were selected as the sample based on the convenient sampling method. Wounds of patients were divided into two parts; one part was dressed with silver sulfadiazine cream and the other one was dressed with nanosilver spray. The wound dressing was changed every day after washing the wound with normal saline. Wound parameters including size, depth, edges, undermining, necrotic tissue type, necrotic tissue amount, exudate type, exudate amount, skin color surrounding wound, peripheral tissue edema and induration, granulation tissue, and epithelialization were measured on the first, third, seventh, fourteenth, and twenty-first days using Bates-Jensen Wound Assessment Tool. The obtained data were statistically analyzed using the generalized linear model test in SPSS-16. Findings: The mean recovery status at the beginning of the study and on the twenty-first day was 32.05 ± 2.13 and 13.95 ± 1.68 in the nanosilver spray group and 32.24 ± 2.77 and 14.52 ± 2.46 in the silver sulfadiazine group. However, no significant difference was observed between the two groups (p=0.87). Conclusion: Both types of dressing improved the wound and had the same effect on the wound healing. However, since the cost of treatment and pain were lower in dressing with nanosilver, it is more recommended to be used for burn wounds. Burn refers to damages caused by direct contact with thermal, chemical, electrical or radiant sources . Burn is the fourth common cause of trauma in the world  and one of the major causes of mortality and disability in the US. Based on the American Burn Association (ABA) statistics, about 450,000 people are in need of health care every year due to burning, 45,000 of whom are hospitalized. In addition, the annual number of deaths caused by burn is about 3,500. According to the Ministry of Health and Medical Education in Iran, 20,000-28,000 patients are annually hospitalized with burn, but the number of outpatient treatments is unknown and very high. The number of burn-related mortality in Iran is equal to 2,000-3,000 per year . In Sabzevar, Razavi Khorasan Province, 1400 people visited the burn ward of Vasei Hospital during 2015. This figure from March to December 2016 was equal to 1100 which indicates an increase in the number of visits and burn cases. The healing of burn wounds is one of the major challenges of medical science. The healing rate of burn wounds is a very important issue in relation to costs imposed on hospitals and the health system and the individual costs of the patient and their family . In terms of damage grade, the burn is divided into four categories; the first-degree burn needs no special treatment, third-degree and fourth-degree burn require autograft , and second-degree burn takes two to three weeks to recover. Lowrisk and inexpensive topical medications or those which have the same effect as costly drugs can greatly help patients and the health system in this regard . Hence, finding a medicine or substance that can heal these wounds with the least side effects is very valuable . Increased awareness of molecular and cellular recovery mechanisms of epithelium can lead us to the development of new therapeutic techniques and tissue dressings. The primary goal of wound care is to optimally promote and develop wound closure and healing by reepithelialization and prevent wound infection . One of the important issues in preventing infections is the use of appropriate topical drugs and dressing. An appropriate topical treatment can turn an open and dirty wound into a closed and clean wound . In addition, wise and proper use of antimicrobial drugs causes less resistance in bacteria and their greater effect on reducing the risk of sepsis . Three common topical medicines used in burns include silver sulfadiazine, silver nitrate, and mafenide acetate . Topical silver sulfadiazine is a supplementary drug for the prevention and treatment of infections caused by second-degree and third-degree burns which affects only the cell membrane and cell wall to apply its antibacterial action. This drug has a great antimicrobial activity and is also lethal to a large number of gram-negative and grampositive bacteria and yeasts . However, silver sulfadiazine, due to sticking to the surface of the wound, may cause false scars, have toxic effect on the restoration of keratinocytes, and delay wound recovery . Mafenide acetate leads to hyperchloremic metabolic acidosis, irritation, and maculopapular rash. In addition, silver nitrate reduces serum electrolytes such as sodium, chlorine, potassium, and calcium . Considering that many common drugs used to treat burn wounds cause problems such as allergies and drug resistance  and given that the use of antibiotics is the main way of treating bacterial infections and increased resistance of bacteria to stronger antibiotics threatens the lives of humans, different methods have come to the aid of humans to reduce the use of these antibiotics . One of the proposed methods based on scientific advances is the use of silver nanoparticles which have many applications in the field of medicine and treatment of bacterial infections due to their antiseptic properties . Silver has long been regarded as a disinfectant and now it is also one of the most common topical medications used in the treatment of burn wounds . Silver in nanoscale affects the metabolism, respiration, and reproduction of microorganisms  through connecting to the protein and the cell wall of microorganisms and influencing their phagocytosis process, which ultimately leads to the death of cells . Due to strong antibacterial activity, nanosilver is used for the treatment of wounds, including burn [15,16], because it can reduce the recovery time and relieve inflammation . In a study, the role of nanosilver in improving the healing process of diabetic ulcer with secondary infections has been shown . In another study, it was reported that nanocrystalline silver reduces the need for antibiotic use in the treatment of burn wounds . Adia et al. compared the effect of nanosilver and silver sulfadiazine on the burn wounds and observed that the wound healing time was shorter in nanosilver dressing . Therefore, the present study aims to compare the effect of dressing with nanosilver spray and silver sulfadiazine cream on the healing of second-degree burn wounds in patients hospitalized in Vasei Hospital of Sabzevar in 2016 in order to take an effective step towards the faster recovery of patients with burn wounds, reduction of their pain and suffering, and decreasing the financial burden on their family. The present research was a double-blind randomized clinical trial (statistical assessor and analyst) which aimed to compare the effect of dressing with nanosilver spray and 1% silver sulfadiazine cream on the recovery of wounds caused by the second-degree burn. Out of the patients with burn visiting the burn ward of Vasei Hospital in Sabzevar in 2016, 21 patients with a second-degree burn wound of the same depth and size in one or two symmetric organs (at most 20%) were selected as the sample based on the convenient sampling method. Burn areas were randomly assigned to the two groups of intervention and control and the desired treatments were performed on each of the areas. The inclusion criteria were burns due to heat source or liquids (non-acidic), existence of two surfaces of burn in two organs with the same depth or a massive burnt surface in one organ with similar depth, an interval of less than 24 hours between the occurrence of burn and visiting the hospital, age of 18 to 60, nonaffliction with diabetes, cardiovascular diseases, skin allergy, and immunodeficiency, an albumin plasma value of above 3 g/dl, a BMI of 18.9 to 29.9, and a hemoglobin amount of greater than 8 g/dl. The data collection tools included a demographics questionnaire, Bates-Jensen Wound Assessment Tool, observer (assessor), and a strip meter. The demographics form included information on age, gender, weight, height, cause of burn, and affliction with underlying diseases. Bates-Jensen Wound Assessment Tool is a 15-item questionnaire, two of which are not classified but the other 13 items are scored based on a 5-point Likert scale. The burn wound parameters measured by this tool include size, depth, edges, undermining, necrotic tissue type, necrotic tissue amount, exudate type, exudate amount, skin color surrounding wound, peripheral tissue edema and induration, granulation tissue, and epithelialization. The wound healing is evaluated based on the scores obtained from this tool. Each item is given a score between 1 (best status) to 5 (worst status) and the lowest and the highest scores on this tool are 13 and 65, respectively. Higher scores on this tool indicate further wound reduction and lower scores suggest further wound healing. Then, the scores were summed, and the overall score was marked on the wound condition spectrum line with a cross sign by the researcher in order to determine the wound status (whether it is getting recovered or reducing). The wound size was measured using a strip meter. The scientific validity of Bates- Jensen Wound Assessment Tool was confirmed by Harris et al. . In Iran, the content validity of this tool was determined to be 89% by Hosseini et al. . In the present study, its content validity was also obtained 89%. After obtaining the necessary permissions and also a consent form from patients, hemoglobin, albumin, BMI, and the burn degree and site were determined for each patient. The burn wounds were examined and graded by a plastic surgery specialist at the beginning of the study, on the third day, and then every week before changing the dressing up to three weeks based on Bates- Jensen Wound Assessment Tool. Using this tool, the wound size and depth of edges, necrotic tissue type, necrotic tissue amount, exudate type, exudate amount, skin color surrounding wound, peripheral tissue edema and induration, granulation tissue, and epithelialization were examined, and the wound healing status was determined. Then, after washing and debridement with water and normal saline and drying by a sterile gauze, 1% silver sulfadiazine cream was administered to the wound on an organ or a part of the burn wound in the control area with a thickness of 2-3 mm. In the opposite organ or part of the other studied organ as the intervention area, nanosilver spray was administered to the wound in a way that the wound surface is dampened in a thin layer. Finally, the control and intervention wounds were dressed using vaselinized gauze and dry gauze, respectively. The maximum and minimum burn surface area (BSA) from an organ compared with the symmetric organ or part of an organ compared to the other part was considered 20% and 60%, respectively. Each of the areas compared to each other were the same in the terms of burn degree and depth. The wound healing process in the two areas was controlled and compared on days 1, 3, 7, 14, and 21 after burning using the checklist of the observer physician. Patients who were discharged from the hospital before the end of the trial were asked to visit the center every day for dressing change and wound examination. After the intervention, the wound healing status was measured by comparing the wound healing scores in two groups dressed with nanosilver spray and silver sulfadiazine cream. The obtained data were statistically analyzed using the generalized linear model test in SPSS-16. The present study was conducted on 21 patients with burn in two or more symmetrical organs with the same depth or in one organ with a large size and depth visiting the burn ward of Vasei Hospital of Sabzevar. The burn wounds in the control and intervention areas were dressed with nanosilver spray and silver sulfadiazine cream. The results showed that the mean age and BMI of patients were 38.4 ± 12.8 and 24.6 ± 2.21, respectively. In term of gender, 17 patients (81%) were female and the rest of them were male. The main burn sites included abdomen (9.5%), back (5%), upper limb (28.5%), and lower limb (57%). In addition, the main causes of burn were boiled water (90%) and fire (10%). In terms of educational attainment, 24% of patients had a high school diploma or a university degree and about 76% of them were lower than high school diploma. The results of the generalized linear model test indicated that the wound healing score declined from the second week and the wounding healing process was more favorable. However, the mean final score of wound presented no significant difference between the two treatments (p=0.87). In other words, there was no significant difference between the two types of treatments in terms of wound healing rate (Tables 1 and 2). Table 1: The mean and standard deviation of the final wound score in two groups of dressing with nanosilver spray and silver sulfadiazine cream. Table 2: Estimation of multi-level logistic regression parameters of correlated data for the wound healing. Figure 1 shows that the mean final score of wound in two groups of dressing with nanosilver spray and 1% silver sulfadiazine cream was almost the same on the first and third days. However, from the third day onwards, the gradient slope became steeper in the group of dressing with nanosilver spray, reached the peak on the fourteenth day, and became the same on the twenty-first day. Although the effect of nanosilver seems to be greater, the difference between the two treatments was not significant. Total wound score on the first day was equal to 32.24 and 32.05 in the groups of dressing with silver sulfadiazine cream and nanosilver, respectively. According to Bates-Jensen Wound Assessment Tool, higher scores (near to 65) indicates tissue damage and wound deterioration and lower scores (near to 13) represent wound healing and the tissue health. Accordingly, the wound score in the beginning of the study presented no significant difference between the two types of dressing. 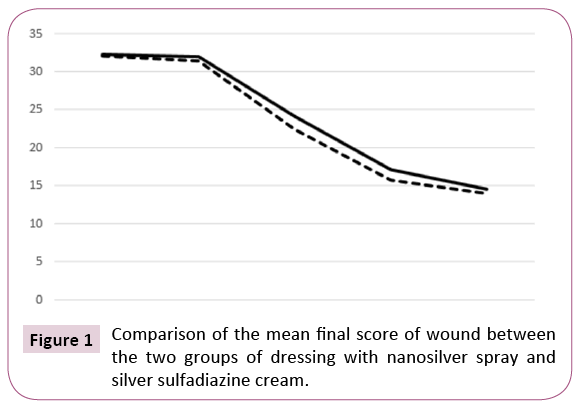 Figure 1: Comparison of the mean final score of wound between the two groups of dressing with nanosilver spray and silver sulfadiazine cream. The results of the generalized linear model test demonstrated that there was no significant difference between the two groups in the healing rate in relation to wound size, wound color, peripheral tissue edema and induration, wound edge status, wound reduction, and wound depth. The findings also showed that there was no significant difference between the two groups in terms of the mean score of necrotic tissue type. However, nanosilver dressing was more effective in the wound healing and type of necrotic tissue. The difference between the two groups became more prominent in the mean score of necrotic tissue type from the third day onwards. This figure on the seventh, fourteenth, and twenty-first days reduced to 1.61, 1.33, and 1.23 in dressing with silver sulfadiazine cream and 1.33, 1.04, and 1.02 in dressing with nanosilver spray. The results indicated that there was no significant difference between the two types of treatment in terms of the mean granulation. Both types of dressing increased the granular tissue of wound over time. The difference between the two groups in this regard became more from the third day onwards as it reduced to 3.28, 1.76, and 1.23 in dressing with silver sulfadiazine cream and 2.85, 1.57, and 1.04 in dressing with nanosilver spray on the seventh, fourteenth, and twenty-first days. The study results also suggested that the difference between the two groups was not statistically significant in terms of the mean epithelialization. Both types of dressing had positive effects on the wound epithelialization process and increased the wound epithelialization over time. From the third day onwards, the difference between the two groups in the mean epithelialization score became more significant, as it reduced to 3.42, 2.14, and 1.28 in dressing with silver sulfadiazine cream and 3, 1.66, and 1.09 in dressing with nanosilver spray on the seventh, fourteenth, and twenty-first days. The highest difference between the two types of dressing was observed on the fourteenth day to the benefit of dressing with nanosilver spray. The present study aimed to compare the effect of nanosilver spray and silver sulfadiazine cream on the healing of seconddegree burn wounds in patients hospitalized in the burn ward of Vasei Hospital of Sabzevar in 2016. The results showed that there was no significant difference between the two types of dressing in the healing rate and the effect of time on the mean final score of wound was not statistically significant. In other words, both methods of dressing had the same effect on the wound healing. In a study conducted by Abedini et al. entitled “comparison of the effect of nanosilver and silver sulfadiazine dressing on the treatment of burn wounds, it was shown that nanosilver dressing facilitated the epithelialization process and reduced the recovery time . This is not consistent with the findings of the present study in which there was no significant difference between the two types of dressing in terms of the epithelialization process. The results of a study conducted by Adia et al. about the comparison of the effect of silver sulfadiazine and local silver nanocrystal hydrogel on the recovery of burn wounds indicted that dressing with silver nanocrystal reduced the healing time of wounds. In addition, type and amount of necrotic tissue and exudate type and amount showed a reduction in dressing with silver nanocrystal hydrogel. However, the amount of granulation and epithelialization showed a reduction in this type of dressing . In the present study, there was no significant difference between nanosilver spray and silver sulfadiazine cream dressing in the amount of granulation and epithelialization, although they presented better improvement in dressing with nanosilver. Wardow et al. compared the effect of silver nanocrystal and hydrocellular foam on the treatment of chronic infectious ulcers and concluded that clinical symptoms of infection, necrotic tissue, and exudate secretion reduced but the granular tissue increased in dressing with silver nanocrystal . This is not consistent with the results of the present study in which exudate amount was the same in both types of dressing, and although necrotic tissue amount showed a reduction in nanosilver dressing, there was no significant difference between nanosilver and silver sulfadiazine in this regard. Frazer et al. compared nanosilver dressing with simple gauze in the debridement of war wounds and observed that the wound healing time was the same in both groups. However, the wound infection slightly reduced in nanosilver dressing , which is consistent with the results of the present study. Vereblin et al. compared the efficiency of silver-containing hydrochloride (Hydrofiber) nanosilver dressing in the treatment of burn wounds and showed that silver-containing Hydrofiber dressing was considered more convenient and cost-effective by both patients and nurses. However, there was no significant difference between the two groups in terms of recovery time, granulation, epithelialization, and skin irritation . This is consistent with the findings of the present study. In the present study, the mean necrotic tissue amount showed no significant difference between the two types of dressing and both reduced the necrotic tissue amount of the wound over time. This is not consistent with the findings of Wardow et al. in relation to the effect of silver nanocrystal dressing on the improvement of the necrotic tissue amount in burn wounds . Although the necrotic tissue amount in nanosilver dressing reduced more in this study, there was no significant between nanosilver and silver sulfadiazine in this regard. By combining with proteins and inions in the secretions of the wound, nanosilver applies its antimicrobial effects through interference in the respiratory chain of cytochromes and inhibition of DNA. In addition, nanosilver can affect a wide range of aerobic and anaerobic microorganisms, kills the yeasts, fungi, and viruses in the wound, reduces the necrotic tissue amount, and consequently eliminates necrotic tissue in the wound . Nanosilver facilitates the migration of macrophages to the site of injury and eliminates the bacteria and the wound remaining through phagocytosis. It also prevents the infection spread through the formation of fibrin . The study findings indicated that there was no significant difference between the two types of dressing in terms of the mean score of necrotic tissue type. However, nanosilver dressing was more effective in the wound healing. On the other hand, time was another factor which affected the necrotic tissue type. In a study conducted by Adia et al. dressing with silver nanocrystal hydrogel reduced the wound healing time and the necrotic tissue type and amount inside the wound , because nanosilver increases the granular tissue and reduces the necrotic tissue inside the wound. Based on the results of the present research, the mean wound granulation presented no significant difference between the two types of dressing. In fact, both nanosilver and silver spray and silver sulfadiazine cream increased the granular tissue inside the wound over time. In the study of Vitsac et al., nanosilver dressing reduced the wound infection and increased the formation of the granular tissue . In a study conducted by Vereblin et al. nanosilver dressing also increased the granular tissue amount and improved the wound recovery . This is not consistent with the results of the present study. In fact, silver nanoparticles can increase the speed of wound closure by facilitating the proliferation and migration of keratinocytes and differentiation of fibroblasts into myofibroblasts. Finally, the newly-synthesized collagen deposited in the granular tissue is used for the formation new granular tissue at the maturation stage. Then, collagen enters into a more organized structure and changes its status by increasing the tensile strength. At the end, type-I collagen is supplanted by type-III collagen to facilitate the granulation process . The mean epithelialization score in this study presented no significant difference between nanosilver spray and silver sulfadiazine cream. Both types of dressing had a positive impact on the wound epithelialization over time. Vereblin et al. also found no significant difference between the two groups in terms of epithelialization . This is consistent with the findings of the present study. However, Adia et al. showed that silver nanocrystal dressing reduces the wound healing time and nanosilver hydrogel dressing increases the epithelialization process , which is not consistent with the findings of the present study. Affecting the keratinocytes and fibroblasts in the wound, nanosilver suppresses bacterial proliferation and improves the epithelialization process . One of the limitations of this research was that there was the possibility of transfer of effects in patients who had both types of dressing on the wound of one organ. The findings of the present study indicated that nanosilver spray and 1% silver sulfadiazine cream have the same effects on the healing of burn wounds. However, the effect of nanosilver spray on the reduction of the healing time and necrotic tissue amount and increasing the granulation, epithelialization, and necrotic tissue type was greater. Considering the lower cost and pain of dressing with nanosilver spray, it is more recommended to be used for burn wounds. According to the results of the present study and other similar studies, it can be stated that nanosilver has more positive effects on the wound healing than silver sulfadiazine. However, the insignificant difference between these two types of dressing in this study can be attributed to the low number of samples. Therefore, it is necessary to conduct more studies with larger sample size on this subject. The present paper was extracted from a master thesis in Surgical Nursing Education approved by the Deputy of Research and Technology with an ethics code of medsab. Rec.1394.93 and a registration code of IRCT2017010331752N1 in the Iranian Registry of Clinical Trials. The authors would like to thank all personnel of the Burn Ward of Vasei Hospital of Sabzevar who cooperated with us in this research. Black JM, Hawks JH (2009) Medical surgical nursing clinical management. 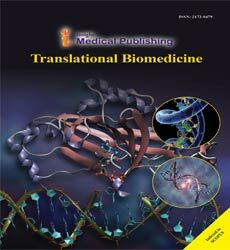 Saunders/Elsevier, USA. Aliasl J, Baricbin B, Naseri M, Kamalinejad M, Amadi SM, et al. (1392) Review of burns and their treatment in Iranian traditional medicine. J Med History5: 79-96. Abbas Zadeh A, Mahzooni T, Emami SA, Akbari H, Fatemi MJ, et al. (2015) The effect of Coriander cream on healing of superficial second degree burn wound. Tehran Univ Med J. 73:646-652. Brunner LSH, Suddarth DS, Smeltzer S, Bare BG (2014) Brunner &Suddarths textbook of medical-surgical nursing. Philadelphia: Lippincott Williams & Wilkins, USA. Bousfield CH (2002) Burn trauma: Management and nursing care. (2ndedn). London: Whurr, UK. Smeltzer SC, Hinkle JL, Bare BG, Cheever KH, Townsend MG, et al. (2008) Brunner &Suddarths textbook of medical-surgical nursing. Philadelphia: Lippincott Williams & Wilkins, USA. Zolfaghari M, Khodadadmotlagh M, Heidarpor A, Aghaee S (1930) Factors contributing to bacterial infections after burns in hospital burn years 1388-1389. J Qom University of Med Sci3: 23-29. Spann CT, Tutrone WD, Weringberg JM, Scheinfeld N, Ross B (2003) Topicalantibacterial agents for wound care. J Dermatol Surg 29: 620-626. Malek Hoseini A, Ghaffarzadeghan R, Alizadeh Sh, Hagiaghaee R (1392) Compare the effect of aloe vera gel and 1% silver sulfadiazine on healing in burns 2. Complementary Med J 1: 67-78. Heck E, Head M, Nowak D, Helm P,Baxter C (1981) Aloe vera (gel) cream as a topical treatment for outpatient burns. Burns 7: 291-294. Naghsh N, Safari M, Hajmehrabi P (2012) Investigating the effect of silver nanoparticles on E.coli Growth. Qom Univ Med Sci J. 6:65-68. Nezafati N, Pouraghaei (1932)Synthesis of silver nanoparticles triangular structure and antibacterial properties on Gram-positive and gram-negative bacteria. Materials and advanced technologies.Adv Materials Technol 2: 61-65. Mohtashami M, Sepehriseresht S, Asli E, Boroumand MA, Ghasemi A (2013) Synthesis of silver nanoparticles through chemical reduction and biosynthesis methods and evaluation of their antibacterial effects. RJMS19:65-74. Shiryazdi SM (1393) Compare immediate effect of betadine, sterillum and silver nanoclouids in hand disinfection before surgery. J Med Microbiol. Spring 8: 35-40. Chen X, Schluesener HJ (2008)Nanosilver:Ananoproduct in medical application. ToxicolLett 176:1-12. Rai MK, Deshmukh SD, Ingle AP,GadeAk (2012) Silver nanoparticles: The powerful nanoweapon against multidrug resistant bacteria. J ApplMicrobiol 112:841-852. Vlachou E (2007) The safety of nanocrystalline silver dressings on burns: A study of systemic silver absorption. Burns. 33: 979-985. Tonkin C, Wood F (2005)Nanocrystallin silver reduces the need for Antibiotic therapy in burn wounds. AustralianJ of Wound Manage13:163-168. Adhya A, Bain J, Ray O, Hazra A, Adhikari S, et al. (2015) Healing of burn wounds by topical treatment: A randomized controlled comparison between silver sulfadiazine and nano-crystalline silver. J Basic Clin Pharm. 6: 29-34. Harris C, Bates-Jensen B, Parslow N, Raizman R, Singh M, et al. (2010) Wound assessment tool: Pictorial Guidnvalidation project. J Wound 37:253-59. Abedini F, Ahmadi A, Yavari A, Hosseini V, Mousavi S (2013) Comparison of silver nylon wound dressing and silver sulfadiazine in partial burn wound therapy.Int Wound J10:573-578. Verdu Soriano J, NolascoBonmatiA (2010) Treatment of chronic wounds infected by the application of silver dressing’s nanocrystalline combind with dressing’s hydrocellular. Rev Enferm 33: 6-14. Fries CA, Ayalew Y, Peen-Barwel JG, Porter K, Jeffery SLA, et al. (2014) Prospective randomized controlled trial of nanocrystalline silver dressing versus plain gauze as the initial post-debridement management of military wounds on wound microbiology and healing45:1111-1116. Verbelen J, Hoeksema H, Heyneman A, Pirayesh A, Monstrey S (2014)Aquacel Ag dressing versus Acticoat(TM) dressing in partial thickness burns. Burn 40:416-427. Hazavei A, Hejazi Z, Azadian M (1387) Check Medical textiles with nano silver antimicrobial effect. J Textile Sci Technol 4: 87-92. Jenwitheesuk K, Surakunprspha P, Chowchuen B (2013) The use of nanocrystalline silver for the treatment of massive soft tissue defects with exposed bone. J MedAssoc Thai 96:177-184. Seied Mir M, Soltani H, Akhondimeybodi H, Morshedi A, Fakhei SA (1390) The effect of nano silver dressings in wound healing created in adult male rats. JIsfahan Med School 29: 1-5. Rahnama S, Heidarnegad MS, Mobinidehkordi M, Shadkhast M, Yarmohammadi P (2015) Macroscopic and microscopic study of local impact of silver nanoparticles on wound healing and change some blood biochemical parameters in rats. J Shahrekord Med Univ 16:80-89.